People are talking about this wonderful breed all over North America. Euskal Oiloa is simply Basque language for Basque Hens, the local farmhouse breed. 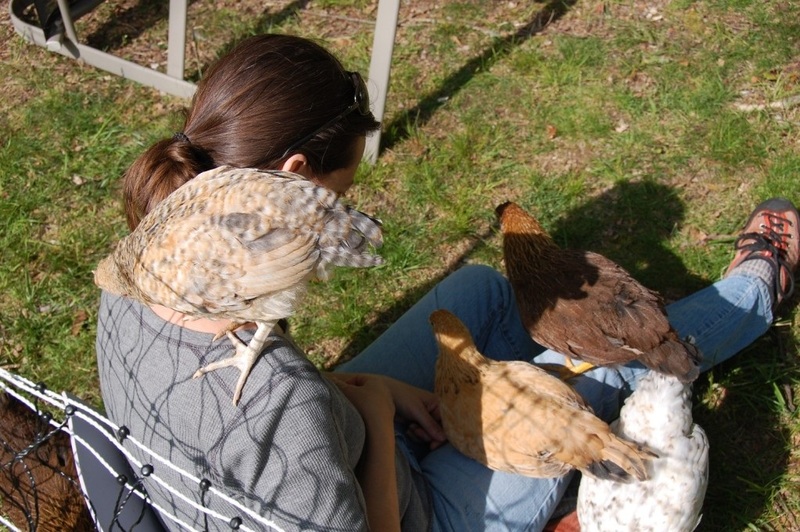 They are an insanely friendly, hardy dual purpose chicken breed that lays lots of big eggs! This breed is not yet in the Hendersons guide or the Storeys Book as it is relatively new to North America, and information has been hard to find. I would love to see them added to those publications at some point as there is real interest growing in this charming breed. And Maggie's Dad, in Lousa County Virginia, USA Won 1st place with "Chicken Wranglers"
And Maggie's Dad, also stole 2nd place with "Petticoats"
I am pleased to Announce NaturesPace of Virginia, USA placing Third with "hanging with the chickies"
Visit our Euskal Oiloa Chicken Forum to learn more!